ingredients that are packed with amazing health benefits. 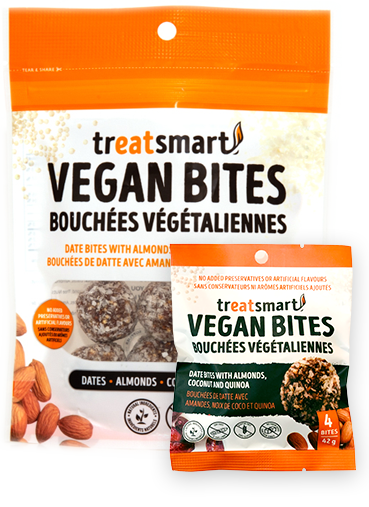 Delicious, Healthy, Convenient, Gluten-Free Snack Foods! 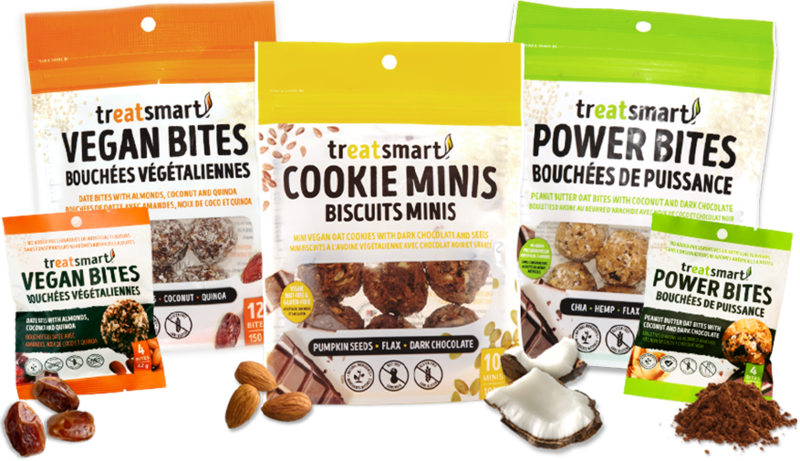 to Strive for More through our passion and expression of love: TreatSmart. Peanut Butter Oat Bites with Coconut and Dark Chocolate. 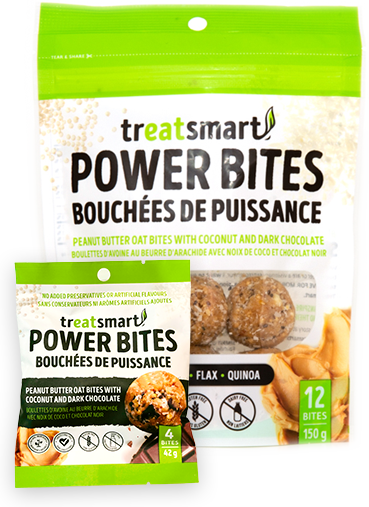 Gluten-free, dairy-free, natural peanut butter power bites containing nutritious ingredients like chia, hemp, flax and quinoa! Gluten-free, natural, vegan date bites containing nutritious ingredients like dates, almonds, coconut, and quinoa! 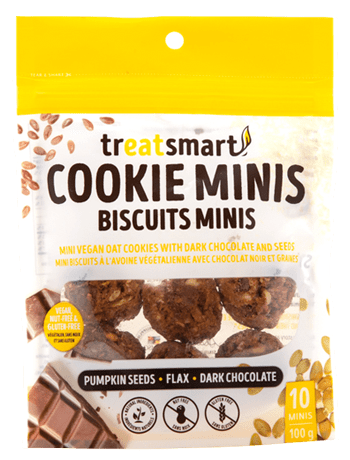 Gluten-free, nut-free, vegan and natural cookie minis containing nutritious ingredients like pumpkin seeds, flax, and dark chocolate. 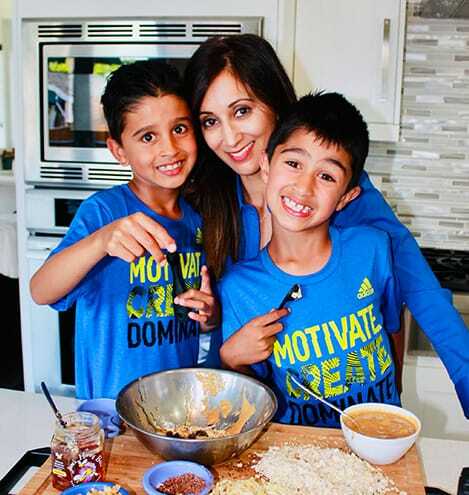 As a mother, teacher, and entrepreneur, Simrit’s energetic and nurturing personality, along with her genuine joy of having gluten-intolerant members of her family eating healthier, motivated her to start Treatsmart. She is involved in all aspects of the business from innovation, research and development, production, to personally delivering her products. Simrit creates personal and collaborative relationships with all of those whom she works with and is a proud member of FWE and CAMSC. Our Vision: To inspire a world where everyone can reach beyond their boundaries! We would be more than happy to hear your feedback!